The season is changing, the year's beginning its closing quarter, and everyone seems to be reflecting on how best to make the most of it. While nothing beats good old grit, some tools can help us tow the line. Crystals – be they powerful or simply pretty placebos, which is for you to experience and know for yourself – can serve a variety of purposes. Broadly, crystals absorb, reflect, deflect or magnify us. Our intentions or company - what we want, or already have. Therein, their specialties are more nuanced. While you own your intentions and your actions toward furthering them, a great (and trendy, yes) focus is manifestation. The power of crystals lies in their ability to hold and transmit energy. Crystal energy can help us to heal, focus our intent and manifest desires. There are many different types of crystals. Each type of crystal has its own unique characteristics and will thus aid us in different ways. They are also believed to help align our vibration with our intentions. Crystal energy and the various types of crystals can be seen as important tools to help us to quickly manifest desires of all kinds. CLEAR QUARTZ: Powerful crystal energy to manifest desires of all types. Stores and amplifies energy. Acts as a mirror of your inner energy/vibration. Is said to provide clarity and understanding. ROSE QUARTZ: Crystal power ruling emotions. Great for manifesting love, creating gentle healing energy and opening the heart chakra to receive love. AMETHYST: Emanates crystal energy of higher mind. Aids us in expanding consciousness, identifying and strengthening intention, strengthening psychic ability, opening us to receive inner guidance and helping us to manifest desires by illuminating the path towards our highest goals. The crystal energy of amethyst can help us to dissolve creative blocks, connect to the wisdom of spirit within and aids us in life after death communication. AGATE: The crystal energy of agate provides protection, strength and harmony. Agate comes in various colors. Each holds subtly different properties. Agate increases energy and enhances longevity. Wear agate when you intend to manifest desires for the continuation of a positive experience. Agate demonstrates the power of crystals through its properties of enhanced courage, self confidence, grounding positive emotion. It also helps to cleanse and stabilize awareness. AVENTURINE: Out of all types of crystals, Aventurine provides its wearer with the highest levels of emotional tranquility. It enhances inner strength, leadership ability and facilitates decisive action. Provides emotional alignment to enhance spiritual growth and wellbeing of independence. AMAZONITE: Amazonite helps to manifest desires to communicate clearly. It amplifies wisdom of the heart, removes emotional blockages, enhances creativity and elevates one’s level of ‘star’ quality. A wonderful manifestation tool for writers and artists. Helps to strengthen inner voice. Soothes nervous system disorders. 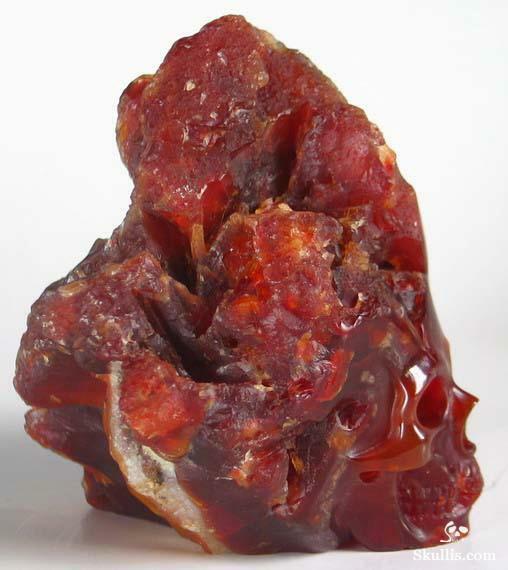 CARNELIAN: Use this power crystal to banish sorrow and uplift emotions. Carnelian helps to propel one forward to take initiative towards manifesting desires. Helps to balance creativity and self confidence. Enhances ability to love self. CITRINE: The crystal energy of this stone helps to eliminate body toxins. It clears away negative energy of the aura and physical body and transmutes negative energy to positive energy. When harnessing the power of crystals, use citrine when desiring manifestations for all types of abundance. Citrine enhances self-esteem, instills confidence and provides an energy of warmth and abundance. PERIDOT: This power crystal emits a warm, friendly energy. Provides bodily protection, inner happiness and illuminates the personal path to joy. One of it’s greatest powers lies in it’s ability to dissipate angry emotions. GREEN TOURMALINE: Attract success, prosperity and abundance. Helpful for immune system disorders and weight loss. This is a stone that helps open one up to channeling. It provides protection from lower energies. Enhances spiritual pursuits and facilitates the attainment of higher knowledge. It aligns it’s user with greater powers of concentration and deepens meditation. Aids us in expanding our consciousness to higher levels to perceive from broader perspectives. Helps us attain life after death communication. Good for PMS and menopause. GARNET: Garnet is the stone of health. It is thought to balance the thyroid and to adjust energetic flow within the body. Helps to manifest desires by enhancing our commitment to self and others. Harmonizes energy between ourselves and others. HOWLITE: Howlite is the power crystal of calm communication. Wear this stone when negotiating anything. It enhances awareness and ability for emotional expression. Enhances spirituality by allowing us glimpses into the higher realms. JASPER: The crystal energy of Jasper enhances our state of relaxation and tranquility and wholeness. Manifest desires with greater ease through wearing this stone. Jasper provides nurturing and protective qualities during astral travel and helps to facilitate direct life after death communication.